In conjunction with the Ise-Shima Summit being held on May 26 and 27 of this year, a number of related ministerial meetings will also be held across the country. 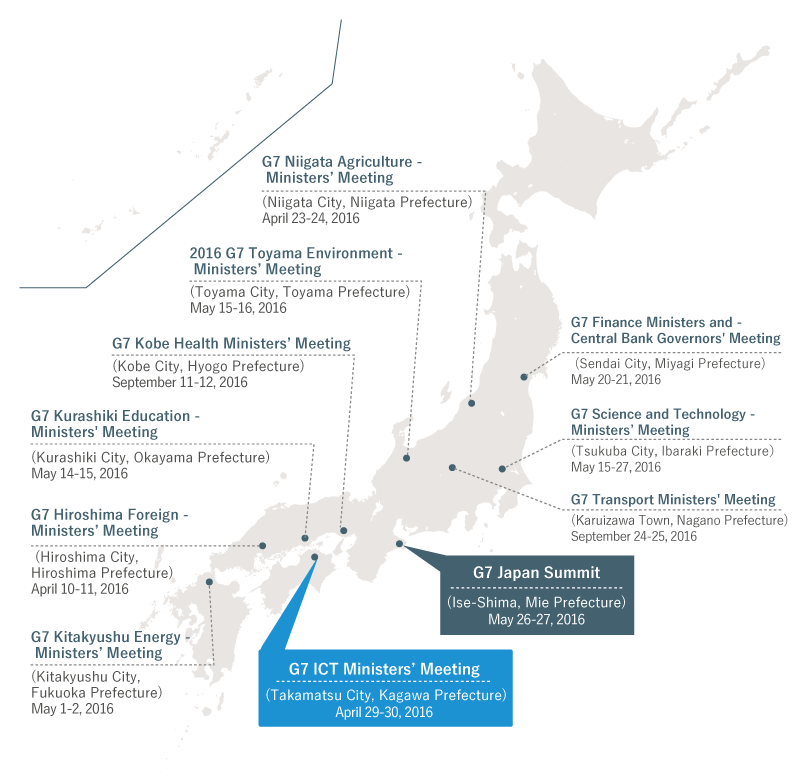 One of these meetings, the G7 ICT Ministers' Meeting, was held here in Takamatsu, Kagawa in April 2016. It was, in fact, the first time in 21 years for the ICT Ministers' Meeting to be held as a part of the Summit. 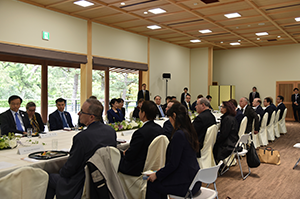 It was also the first time for a ministerial meeting to be held in Shikoku. At this time, the following themes are scheduled to be discussed. 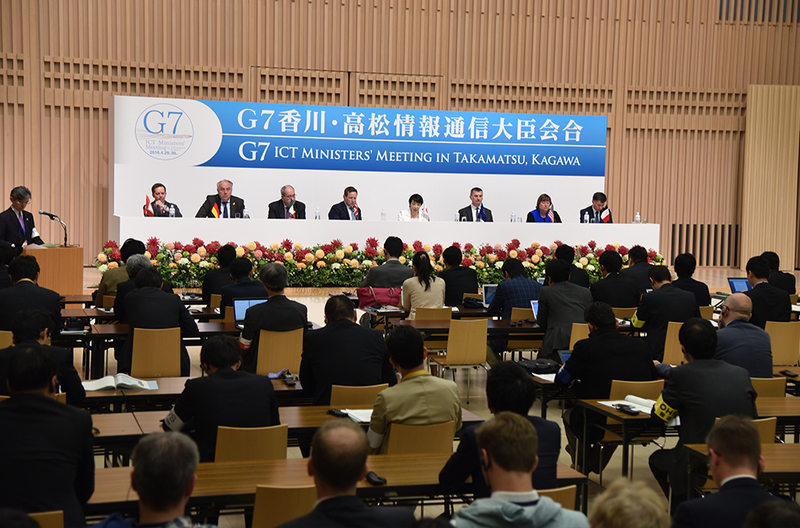 The G7 ICT Ministers’ Meeting in Takamatsu, Kagawa was held over two days, April 29-30, 2016. 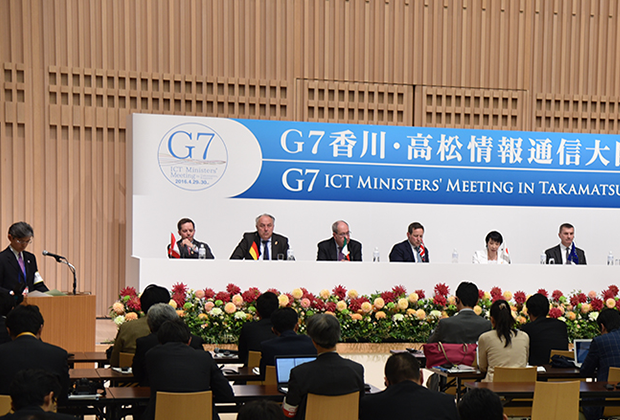 It was the first time in about 20 years for an ICT Ministers’ Meeting to be held by the G7. During the meeting, there was vigorous discussion on such topics as promoting economic growth and ensuring security in a society in which IoT, AI and other new ICT are becoming widespread. 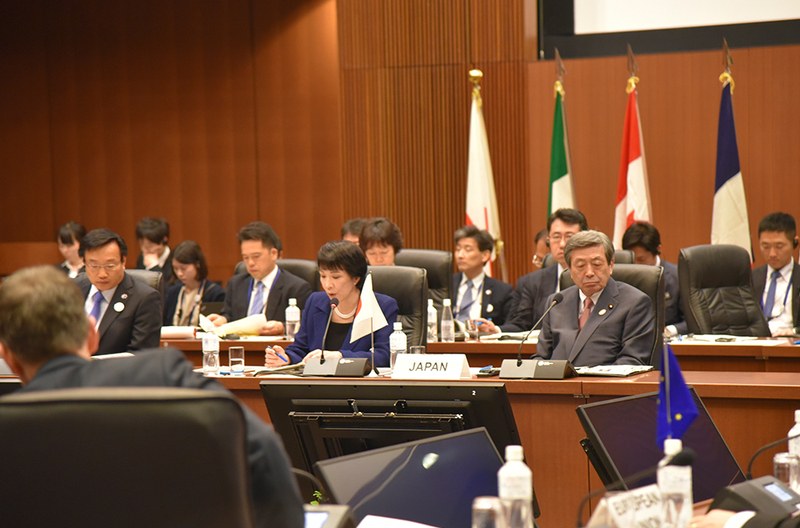 As a result, three outcome documents were adopted, the Charter, the Joint Declaration and the G7 Opportunities for Collaboration (annexed to the Joint Declaration), which summarized the fundamental principles and action agenda for achieving a "digitally connected world" in which everyone and everything is connected globally. 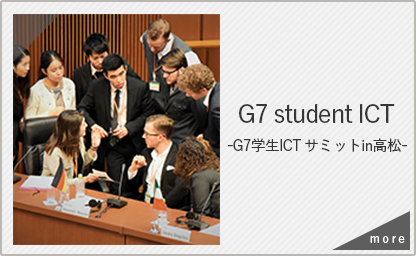 The G7, which shares fundamental values such as freedom and democracy, issued a message of unity to the world. 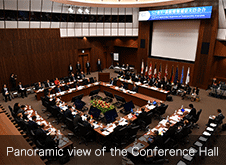 ・For a more detailed description of the meeting, please see the Ministry of Internal Affairs and Communications (MIC) website (Japanese only) . ・For pictures of the meeting, please see the Photo Gallery. 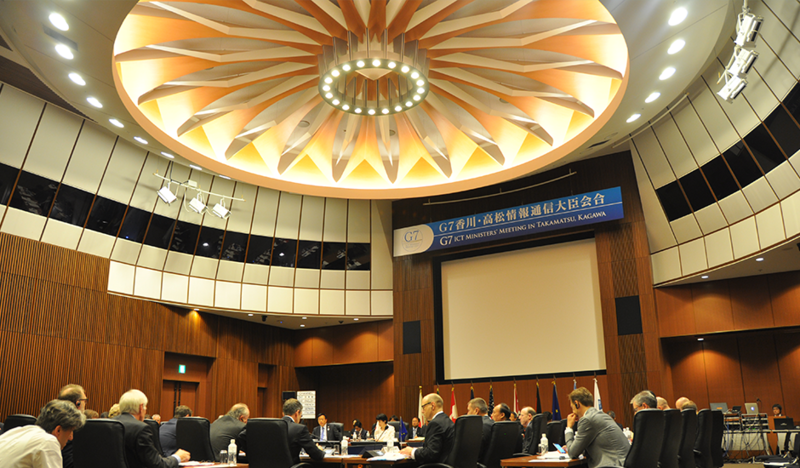 For two days, April 29-30, 2016, Kagawa International Hall served as the main stage for an ICT Ministers' Meeting being held within the framework of the G7 for the first time in about 20 years. 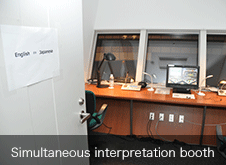 In addition to interpretation booths capable of accommodating up to six languages, the hall is also equipped with three waiting rooms and an expansive foyer, making for a convention venue imbued with an aura of authenticity and substance, which is available for various types of conferences. With their open-design facades, the Conference Hall and the VIP Room also afford sweeping views of stunning green islands woven against the blue waters of the Seto Inland Sea. 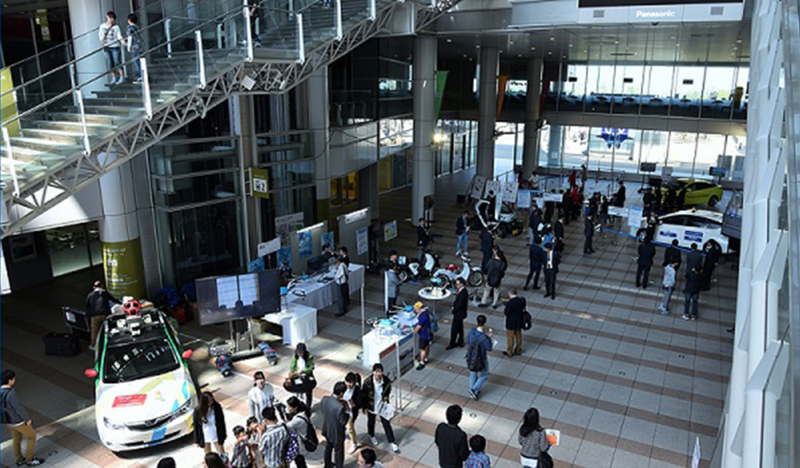 Small Hall 1 at Sunport Hall Takamatsu was the main venue for the Multi-Stakeholders' Conference being held in parallel with the ICT Ministers' Meeting. 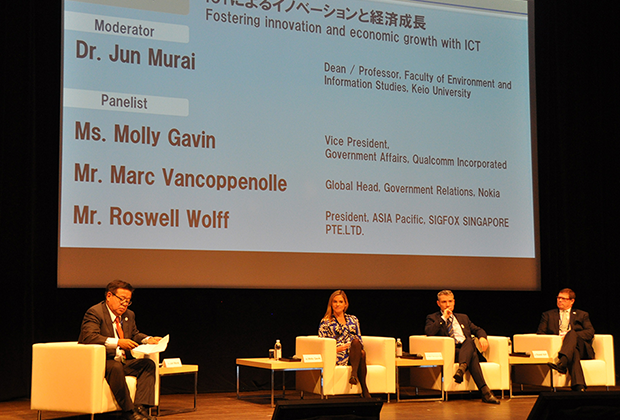 The conference attracted leading authorities in ICT, primarily from private-sector companies and academic institutions, including Dr. Jun Murai, Dean of Keio University's Faculty of Environment and Information Studies, and diverse opinions and views were exchanged. 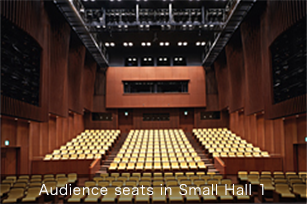 The hall's 300 seats are configured on an incline making it easy for the audience to view the stage, and creating a space in which there is an increased sense of unity between the stage and the auditorium-between the creator and the audience. 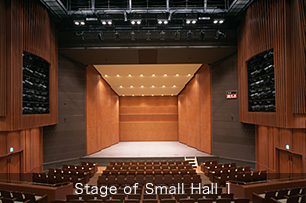 Small Hall 2 is equipped with removable seating for 300 plus a detachable stage that can be raised and lowered, giving the hall a dynamic layout that can be transformed as desired. 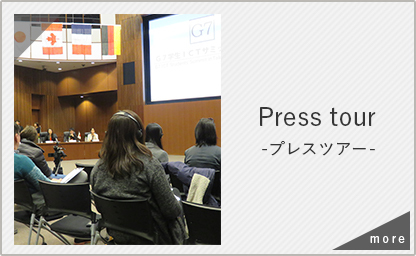 The hall served as the venue for joint press conferences during the G7 ICT Ministers' Meeting in Takamatsu, Kagawa, and is where the outcomes of the two days of discussions were reported. 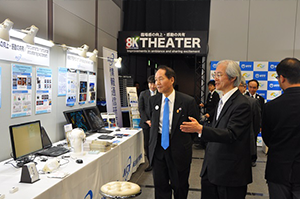 In conjunction with the G7 ICT Ministers' Meeting in Takamatsu, Kagawa, a variety of ICT-related exhibitions and events were held, sponsored by the Ministry of Internal Affairs and Communications (MIC) and the Ministry of Economy, Trade and Industry (METI). Decks Galleria (pictured left) can be used to accommodate such events. 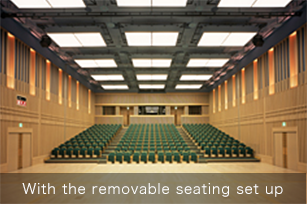 It gives visitors a sense of spaciousness, where they can feel the sunlight and the pleasant breeze from the sea. 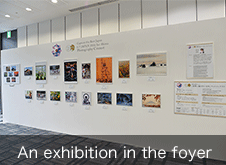 The Exhibition Hall covering an area of approximately 400m2 (pictured right) can be used for multiple purposes, including exhibitions, demonstrations, lectures and other exchange activities held in association with an international conference or large convention. 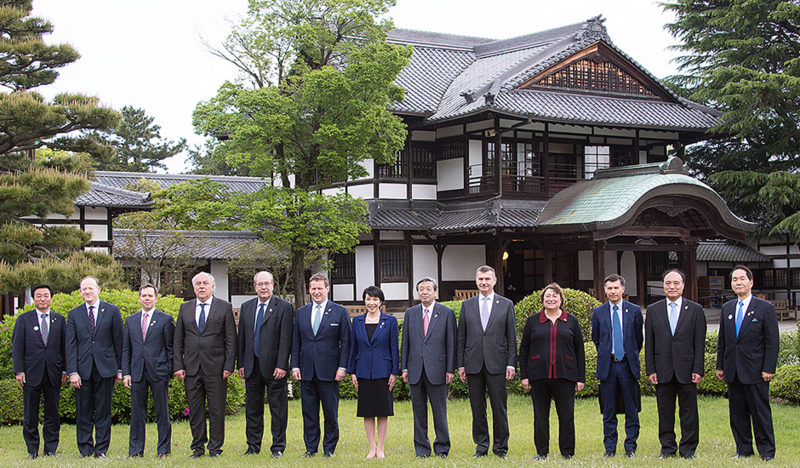 On April 29, representatives of the G7 member states and the EU visited the famous Ritsurin Garden, one of Japan's foremost daimyo (feudal lord) gardens. Here, they enjoyed beautiful scenery so full of variety that it is described as providing a different view at every step. The building pictured in the background of the commemorative photo is the Commerce and Industry Promotion Hall. 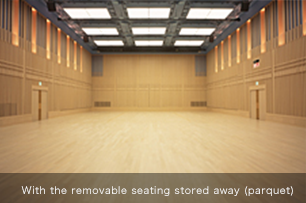 This hall was reopened in August 2015 after undergoing extensive interior renovations while preserving the essence of its exterior, built at the end of the 19th century. The north wing of the Commerce and Industry Promotion Hall is where the luncheon hosted by the Ministry of Internal Affairs and Communications (MIC) was held. Here, delegates spent a relaxed moment amid the verdant radiance of beautiful pines and lawns. 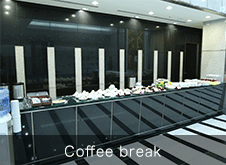 as well as from the Welcome Reception and related events.